Amazon Prime Rewards Visa Signature Card: Should You Get It? A great credit card for those with Amazon Prime membership. 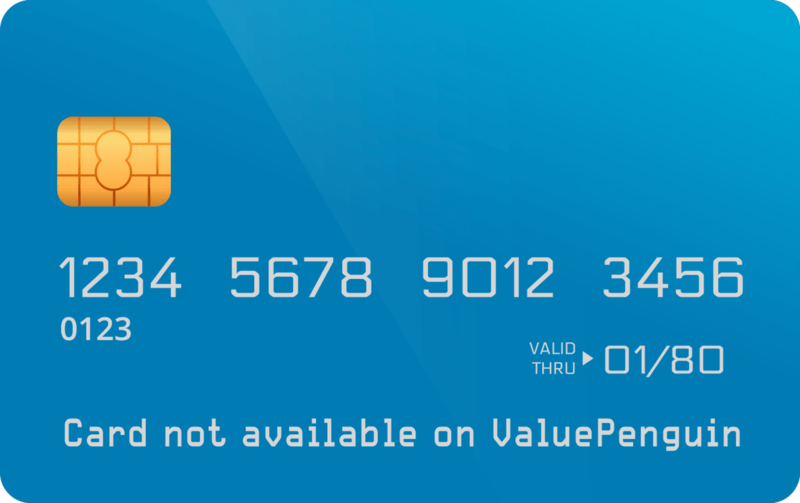 The information related to the Amazon Prime Rewards Visa Signature Card and Amazon Rewards Card has been collected by ValuePenguin and has not been reviewed or provided by the issuer of this card prior to publication. Terms apply to Chase credit card offers. See chase.com for more information. The Amazon Prime Rewards Visa Signature Card is a fantastic card for die-hard Amazon shoppers. The 5% rewards rate on Amazon purchases and the $70 gift card you get once approved are both great rewards that are tough to beat by any other offer currently on the market. Keep in mind that it’s probably not worth it for you to sign up for Amazon Prime just to get the Amazon Prime Rewards Visa Signature Card. For non-prime members, the Amazon Rewards Card remains a very strong option. Note: Don't confuse this card with the Amazon Prime Store credit card issued by Synchrony bank. While that card also provides 5% back at Amazon.com, it cannot be used anywhere else since it is not a part of any credit card network—like Visa or Mastercard. Between the two, the Amazon Prime Rewards Visa Signature Card is much better because it provides you with more ways to save money, such as being used at gas stations or restaurants for 2% back. How Does the Amazon Prime Rewards Visa Signature Card Compare to Other Credit Cards? The Amazon Prime Rewards Visa Signature Card is a very good card for any Amazon.com Prime member. The 5% rewards rate can’t be beat by any other card currently out there. While some credit cards, like the Chase Freedom®, also offer a 5% cash back rate on Amazon.com from time to time, they are usually capped at $1,500 in spending and only offered for a limited period of time. Anyone who shops frequently on Amazon.com throughout the year should get this card. This credit card also comes with solid rewards on other categories. The 2% rewards rate the Amazon Prime Rewards Visa Signature Card provides at gas stations, restaurants and drugstores makes it a solid everyday card that you will want to keep in your wallet. While there are other cash back credit cards that can serve these purposes better, it’s a nice benefit to have on top of the high Amazon cash back rate. The Chase Freedom® offers 5% cash back on up to $1,500 in combined purchases in bonus categories each quarter you activate. Sometimes these categories may include Amazon.com, though it's not guaranteed. If you don’t already have Amazon Prime you shouldn’t sign up for this card solely to get the 5% discount. Non-prime members can still get the Amazon Rewards Card, that provides the same benefits as the Amazon Prime Rewards Visa Signature Card and a 3% rewards rate at Amazon.com. You’d have to spend close to $5,000 every year at the online retailer for the 66% bump in rewards to be worth paying $99. You can see how we arrived at this figure below. Bottom Line: If you have Amazon Prime, the Amazon Prime Rewards Visa Signature Card is a good card to have. The 5% rewards rate it gives for your online shopping is unparalleled. The Amazon Prime Rewards Visa Signature Card provides users with 5% back at Amazon.com, 2% back on gas station, restaurant and drugstore purchases, and 1% back everywhere else. The rewards are earned in the form of points which you can then redeem for statement credit. For example, 5,000 points erases $50 off purchases on your card. These purchases can be anything – they don’t have to be things you bought on Amazon.com. This credit card comes with one of the strongest bonuses around, as far as no-annual-fee credit cards are concerned. If you are approved, you are instantly granted a $70 Amazon gift card. Most other credit cards have welcome offers that require you to spend a certain amount of money on the card in a short period of time. With the Amazon Prime Rewards Visa Signature Card, you are rewarded simply for opening your account. The Amazon Prime Rewards Visa Signature Card is only available to Amazon Prime members. As of the writing of this article, this membership costs $99 per year. Students can get a 6-month free trial, cutting the first year cost in half. Amazon offers four different credit card products: two Visa cards that can be used anywhere and two store cards that can be used only at Amazon.com. Below we've broken down the features of these cards side-by-side. Which is the Best Amazon Credit Card? If you are looking to earn rewards on everyday purchases then you should getting either the Amazon Rewards Card or the Amazon Prime Rewards Visa Signature Card. Which of these cards will be best for you depends on whether or not you have Amazon Prime. Prime members will be able to qualify for the Amazon Prime Rewards Visa Signature Card's superior signup bonus and increased rewards rate at Amazon.com and Whole Foods. Benefits 3% at Amazon and Whole Foods; 2% at restaurants, gas stations and drugstores; and 1% on all other purchases. 5% at Amazon and Whole Foods; 2% at restaurants, gas stations and drugstores; and 1% on all other purchases. While Prime membership has its share of valuable benefits, it is not worth getting just for the 2% more in rewards you can get unless you spend more than $4,950 per year at Amazon and Whole Foods. After meeting this spending threshold, the rewards you earn with the extra 2% offered by the Amazon Prime Rewards Visa Signature Card on these purchases will make up for the $99 cost of Prime Membership. However, this is doesn’t consider all the other benefits involved in Prime Membership. Users can stream movies and TV shows for free online as well as enjoy free 2-day shipping. All these features add to the overall value of Amazon Prime. The only significant perk that the Amazon.com Store Card and the Amazon Prime Store Card have to offer—beyond the 5% back you get on Amazon.com purchases with the Amazon Prime Store Card—is special options for Amazon financing. This can be an excellent option for shoppers that are planning large purchases and need a little extra time to pay. However, Amazon Prime Store Card cardholders should be aware that they will not receive 5% back perk on purchases that get special Amazon financing. The best measure for a card’s value comes from comparing it against other available offers. We took a look at how the features of the Amazon Prime Rewards Visa Signature Card stack up against some of its competitors. The Chase Freedom® is an excellent cash back credit card that gives its users 5% back on up to the first $1,500 in purchases in categories that rotate each quarter. All other spending earns just 1% cash back. The Chase Freedom® works fantastically for whom the 5% bonus calendar lines up with their personal expenses. While the categories change each year, we typically see Amazon.com be included during the later half of the year. Therefore, if you are fine with earning 5% back on Amazon.com during just a few months out of the year, the Chase Freedom® may be a better option than the Amazon Prime Rewards Visa Signature Card. While the latter locks you into rigid categories, the Chase Freedom®’s rotating calendar may provide more flexibility. If you prefer a more predictable reward structure where the categories never change, the Amazon Prime Rewards Visa Signature Card is the better choice. The Citi® Double Cash Card is one of the few credit cards to provide a 1% back on all purchases, and then another 1% as you pay. This applies regardless of where you shop. That means you can get a high rewards rate at Amazon.com or when buying movie tickets. While the Citi® Double Cash Card doesn’t give you the same 5% reward on Amazon purchases that you can get with the Amazon Prime Rewards Visa Signature Card, it’s very strong when it comes to other purchases. If Amazon.com makes up 25% or more of your total annual purchases, the Amazon Prime Rewards Visa Signature Card is the better deal. However, if your spending is more varied, go with the Citi® Double Cash Card instead. Use our tool below to compare the Amazon Prime Rewards Visa Signature Card to other offers. Don't lose out on the best and latest in rewards.